Donald Trump was elected President one week ago to the dismay of the media and half the nation. I am stunned at the reaction these groups have made since the election. We have seen protests across the nation, which some have led to violence. Even though I believe that President-Elect Trump can help to improve the economic conditions for our nation, he cannot change the hearts of our nation. Only Jesus Christ can change the hearts of stone in this nation. Please pray for revival and spiritual awakening for our nation. When the Old Testament Prophets prayed for the nation, they always began by confessing the sins of the nation. So don’t forget to confess the sins of the nation. You can print a copy of these prayers and add them to your Family Photo Prayer Journal. To find our more about making a prayer journal click here: Family Photo Prayer Journal or click on “Free Downloads” at the top of the page for a pull down menu. 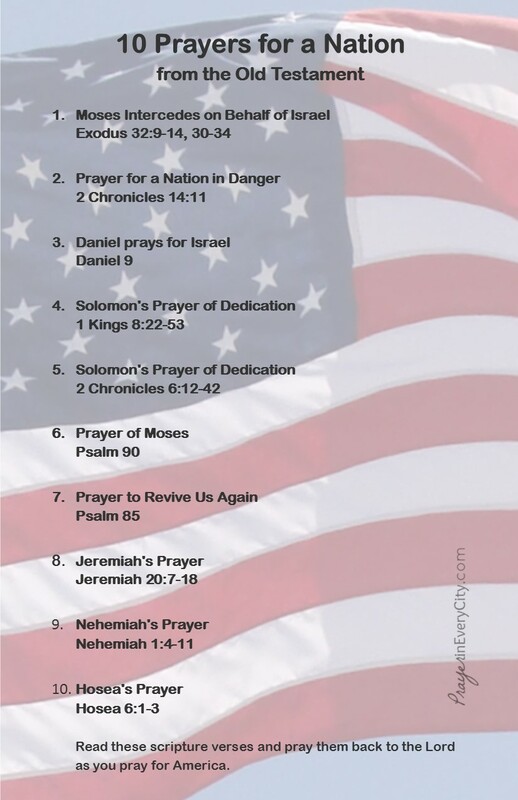 Hosea’s Prayer – Hosea 6:1-3 Read these scripture verses and pray them back to the Lord as you pray for America. Thank you for visiting. We need to continue to pray for our nation. It seems to get more evil everyday.